This girly of mine isn't an especially girly girl. She's a bit wild and crazy, she's generally a bit scruffy, she has an amazingly cheeky tomboyish nature to her, and we absolutely love that. But the result is that we don't do the stereotypically girly, pretty thing in this house. Tutu skirts get rocked up with band t-shirts, dresses go with converse trainers... and we like it that way. So when Clarks asked us to review something from their party shoe line I thought we might have some trouble. There were lots of lovely pretty little party pumps on their website and in store, but they just weren't my little lady's style. And then I spotted these boots. 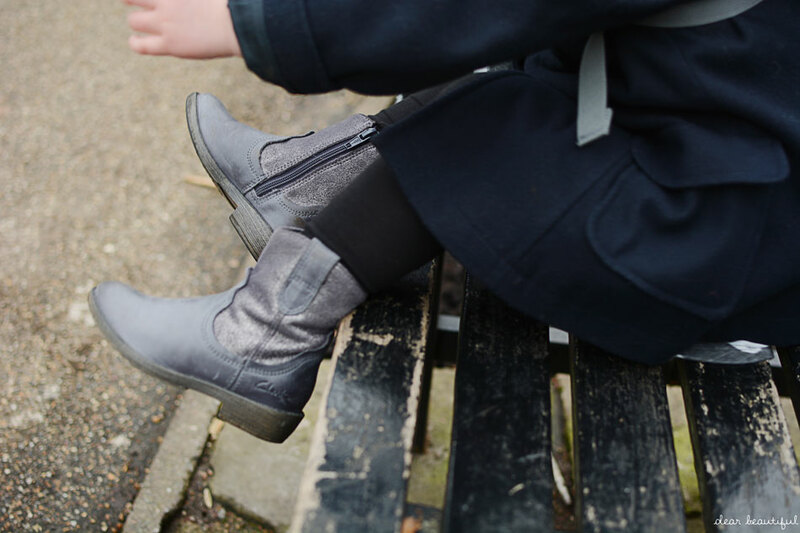 Adorable cowboy boot style, in grey (like a lot of her wardrobe) but with that little bit of sparkle that takes them from an everyday shoe to something a bit special. We were sold. Honestly, I wish they made them in my size. She can wear them with anything and they look great. They dress up simple skinny jeans and a t-shirt. They look fab with leggings or tights and a knitted dress. And they rock up a pettiskirt just enough to stop it being too dainty. 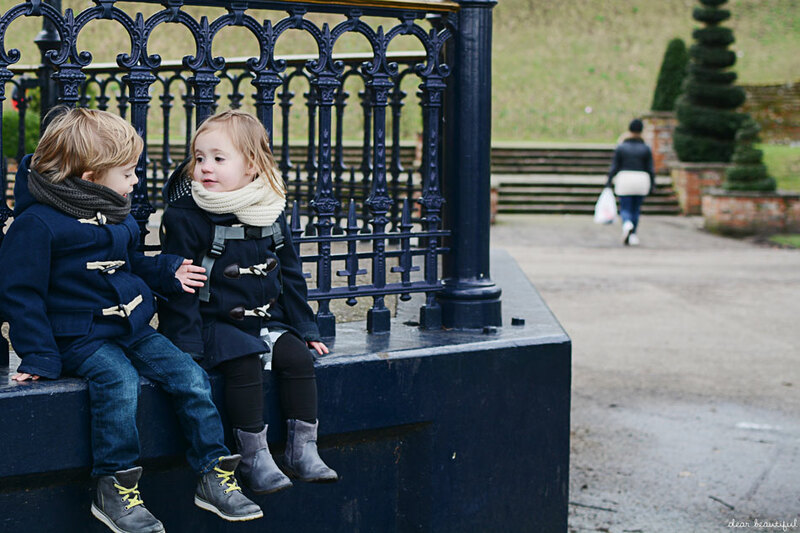 We absolutely love these boots, and they have hardly been off her feet since we got them. We were sent a voucher to purchase these boots for the purpose of this review. But this doesn't affect my opinion, we really do love them. Gorgeous boots. We were looking for some great ones for MM. I never think to go to Clarks because I am American I really need to learn the english stores better. I buy either everything from America or Next. hahaha They are gorgeous on her. Lovely review BG you are a great model!!! OOOOOOO. So sweet to see this. How cute they look! And also this boots model is really gorgeous. This type boots are really awesome for these cute girls.